On January 6th, 2018, we had the first meeting of the year at the Yokohama Port Memorial Hall, which is the venue we use on special occasions. 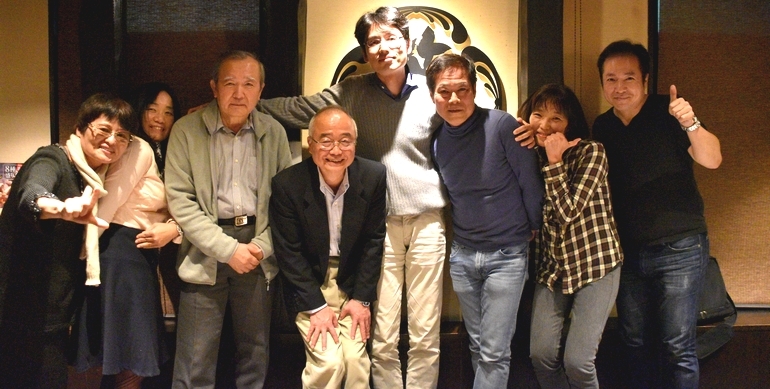 The total of 28 people, which included six guests, got together in one of the most historical buildings in Yokohama to celebrate the beginning of the New Year. In the business session, a new member was inducted as though heralding the brilliant future of our club in the new year of 2018. Although he was a new member, he surprised us by getting the Best Table Topic Speaker Award. Congratulations! 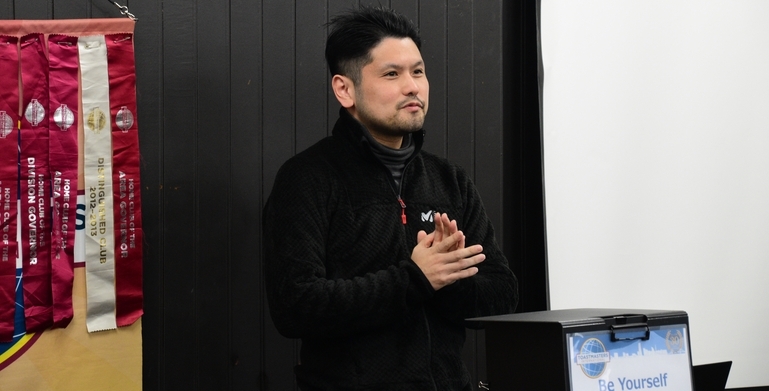 TM M took the role of TMOD for the first time and did a great job. 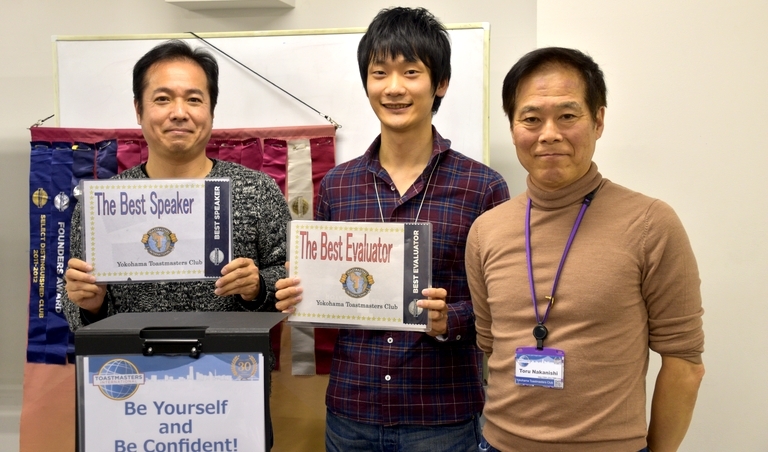 The theme he chose for the meeting was “New Year’s Resolution”, which was quite appropriate for the first meeting of the year. 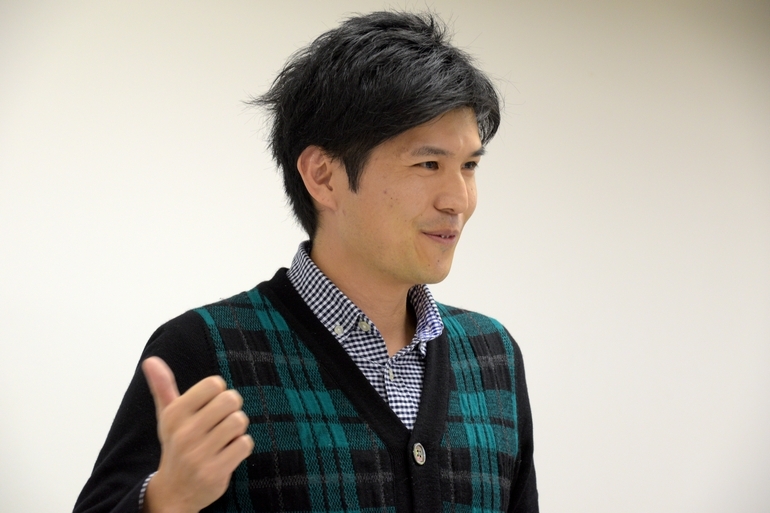 In the Table Topic Session, a Table Topic Master TM K asked seasonal questions (about winter holidays, etc.) to the speakers. Some questions were tricky, and it was interesting to see how some speakers struggled to answer these questions (I was one of them who struggled!). The Prepared Speech Session this time was quite unique and something to behold, because it was full of variety in terms of contents, difficulties, and visual effects. Three out of four speakers tried on each different advanced manual, and the one speaker worked on the last project of the C. C. basic manual. The first speaker used color samples as props, which left a strong impression on the audience. 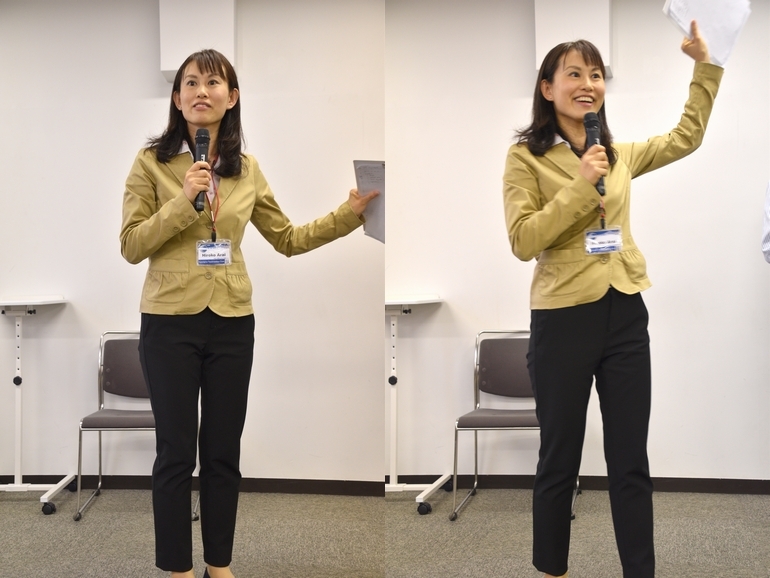 The second speaker talked about her beliefs in learning English and sent out a strong message to the audience. 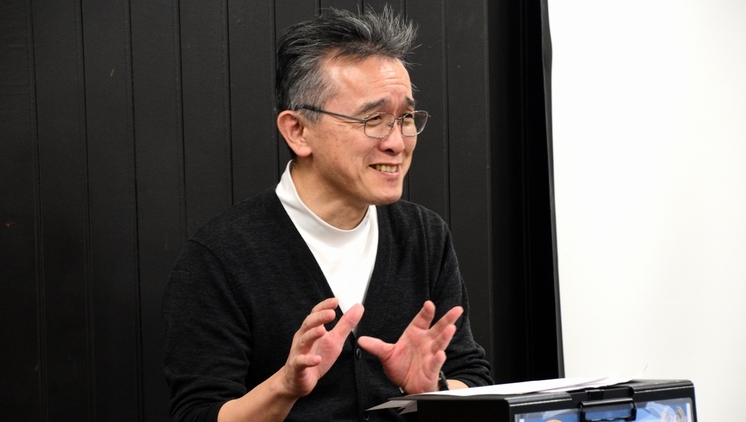 The third speaker challenged on reciting poetry in public for the first time in his life and the fourth speaker DANCED in front of the audience. How brave and what a variety of speeches we witnessed at the beginning of the year! The Evaluation Session was conducted by a first-timer TM A, who facilitated it with the dexterity of an experienced Toastmaster (she was the first-timer in this club only). The Best Awards were given to above-mentioned TM O, who was just inducted, to TM A, who made a great evaluation, and to TM I, who showed us her charming dance with brilliant smiles. Overall, our first meeting in 2018 was a great success and I hope we’ll have a series of meetings like this in the coming year. #656 meeting was successfully finished gathering 25 members and seven pure guests even though it was held in the busiest month of the year “Shiwasu (year-end month)”. Although we used a bigger room than usual, I felt it small due to the large number of attendees that packed the room. 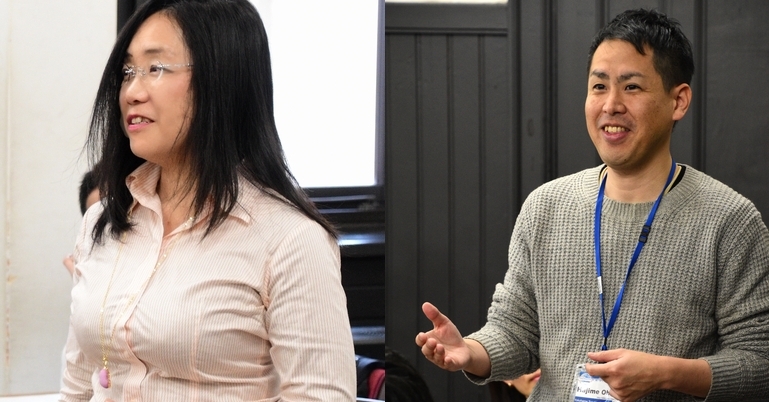 In the first business session, a female Taiwanese’s induction ceremony was held. 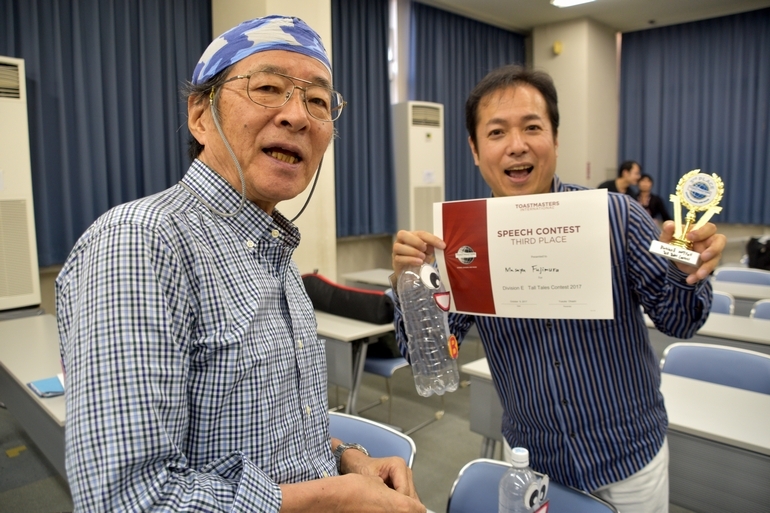 In the speech marathon, we had three CC manual speakers and three varieties of advanced manual speakers. 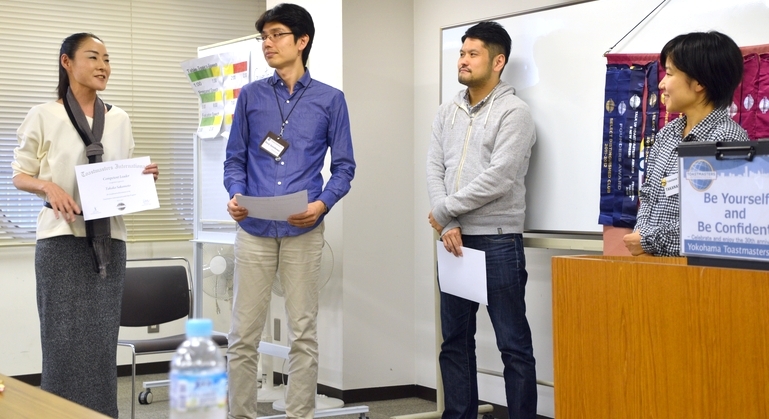 All speakers had prepared their projects well and performed nicely. 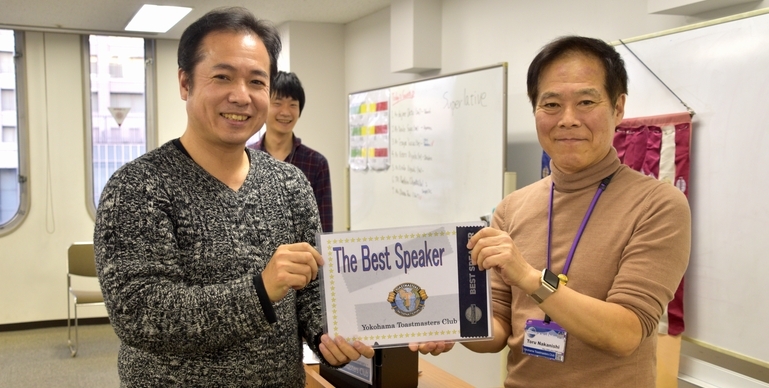 Especially TM F. completed CC #10 and won the best speaker. Congratulations! He seems to have broken his shell and improved a lot suddenly after finishing project #6. Although each member achieves his/her goals at one’s own pace, all members are steadily progressing. Our regular meeting #655 was held at Sakuragi-cho Pio City. It was a little rainy on that day, but 32 people joined the meeting including 7 guests, which was a big crowd!! We were very glad to have so many guests at our meeting. 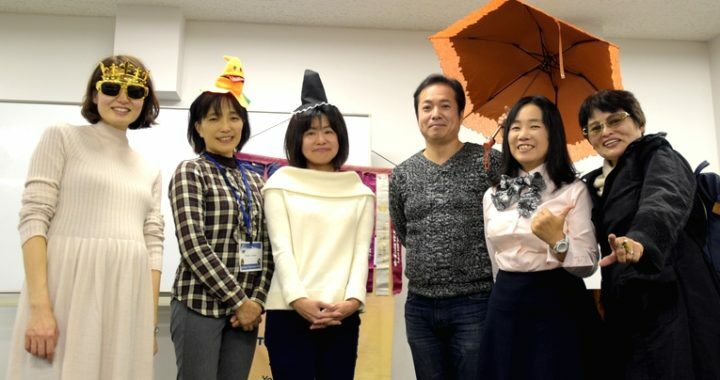 Theme: The theme for this meeting was “happiness.” The TMOD (Toastmaster of the Day) had asked each member about their happiness in advance and shared their stories through the meeting. 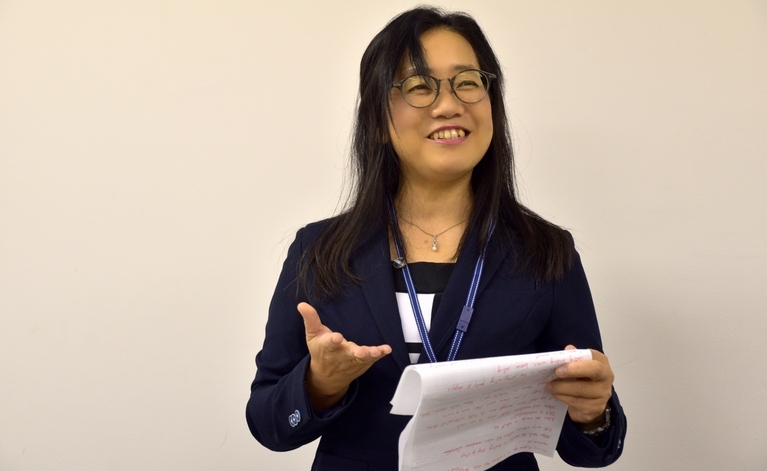 “I feel happy when I find something new.” “I feel happy when I am with my family.” “I am happy when I drink, sleep and laugh with my friends…” There was a variety of stories, and these stories brought a happy and warm atmosphere into the meeting. Word of the Day: Today’s Word was “apple.” The Word Master introduced some unique idioms using “apple,” such as “apples and oranges” or “the apples of somebody’s eye.” Since it was my first time to know those idioms, it was very interesting to try using them. Table Topic: This is the practice session for impromptu speeches. The theme for today’s session was “ASEAN member states.” The Table Topic Master asked many questions about ASEAN countries, their food, immigration, etc., which made us feel as though we were traveling those countries. 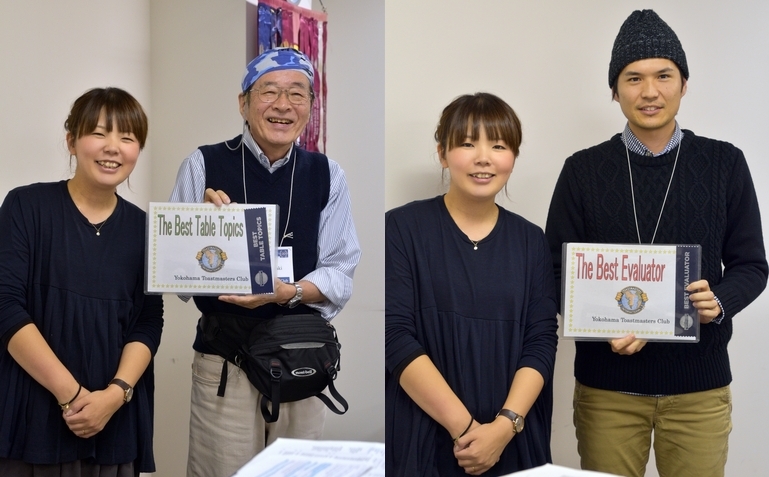 The winner TM N.S made the speech about Eiheiji temple in Fukui as the best sightseeing place in Japan. Prepared Speech: We had four experienced speakers on this day. They all were working on Advanced Manual, which was for us the rare occasion. All the speakers gave great and hi-level speeches. 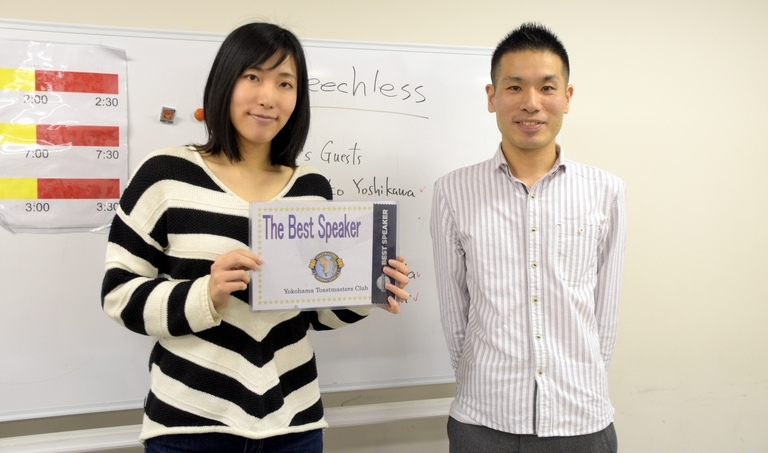 Thanks to them, we learned a lot about speech delivery or speech itself. This Speech Session was very educational. We are heading into the Spring Contest next year, so this must have motivated members to be a contestant on it. Evaluation: The best evaluator was TM T, who tried it for the first time. It is very important to challenge something new!! Let’s support each other and enjoy the next meeting, too! The regular meeting of YTMC is normally held on the 1st and 3rd Saturday. However, due to the national conference held on Saturday, the meeting this time was held on Sunday, November 5th instead. 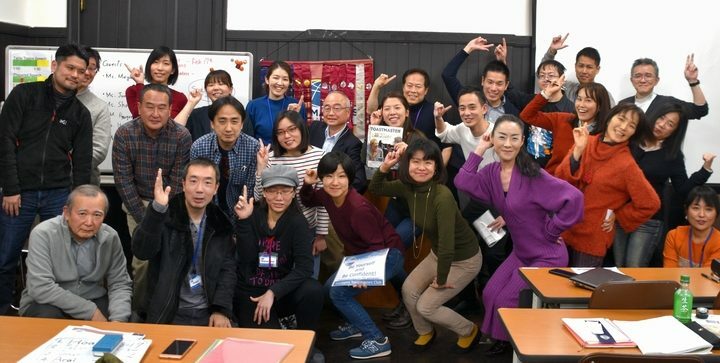 Although it was the final day of three consecutive holidays and wasn’t held on Saturday, 25 participants including 2 guests attended the meeting. Joke Session: Joke session was hosted by TM. 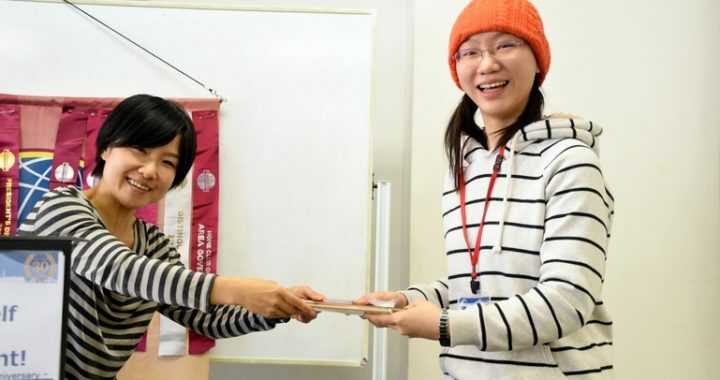 F who had won the 3rd prize at the Tall Tales Contest of Division E. English jokes are not only difficult to tell but also difficult to understand for non-English speakers, but it will make you happy when/if you can understand what’s funny. Table topic session: You need to make an impromptu short (1 to 2 min) speech if you are nominated for this session. 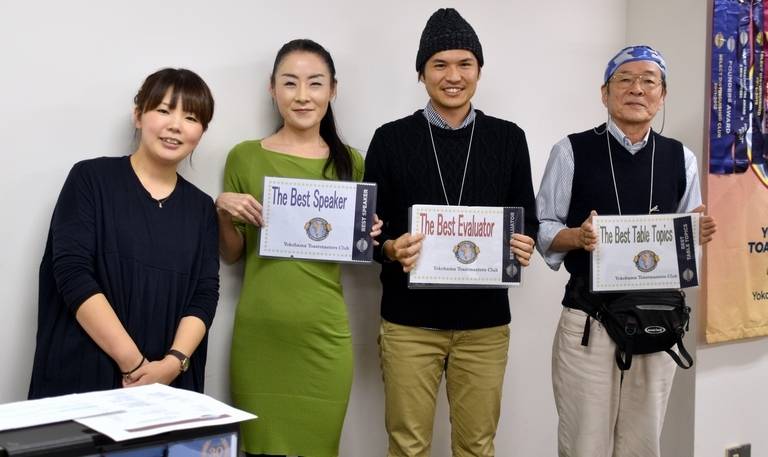 6 people were nominated and made impromptu speeches on autumn food, readings or sports, etc. Speech session: This is the main session, and four prepared speeches were given at this meeting. 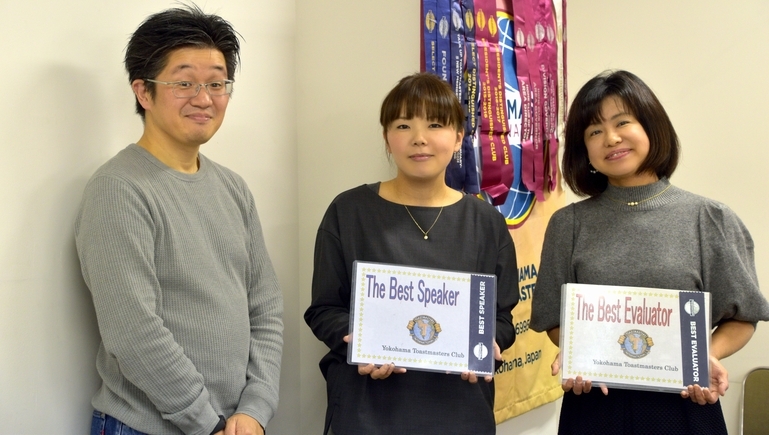 Mrs. N, who gave a speech about “Fair Trade”, won the Best Speaker prize. Although other speeches were well prepared, her powerful speech was most impressive and stood out. 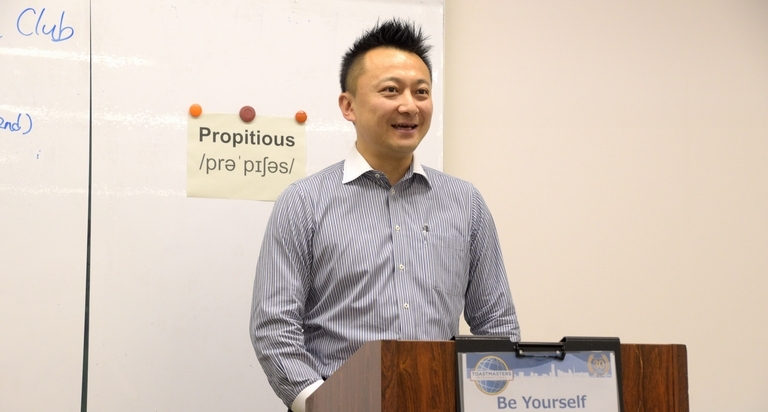 It was an eye-opening meeting where we learned anew the beauty and fun of public speaking. Although it was rainy all day, that didn’t prevent us to hold a regular meeting on October 21st, Saturday, which was really a great success with many regular members and three guests. 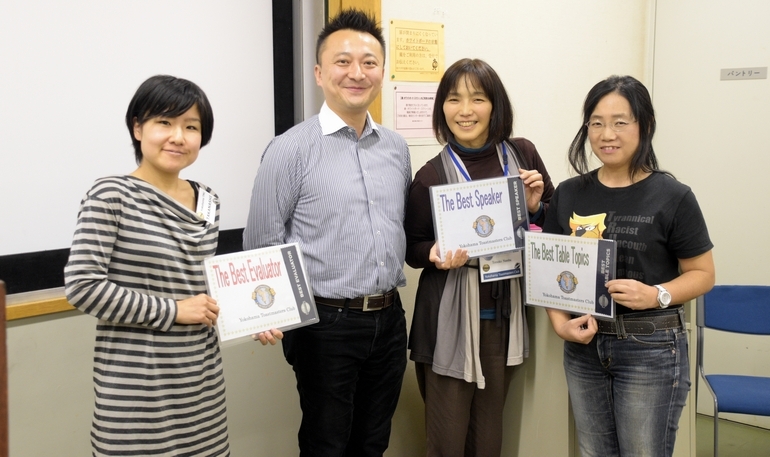 Preceding the meeting, we had a commemoration for completion of the Toastmaster manuals for three members. Toastmasters are to follow the manuals for guidance to learn to be a competent public speaker and to learn leadership skills at his/her own pace. This could never be completed without their strong will power and patience through the years. The big smiles of the three award winners were really impressive. Then, the award for TM. 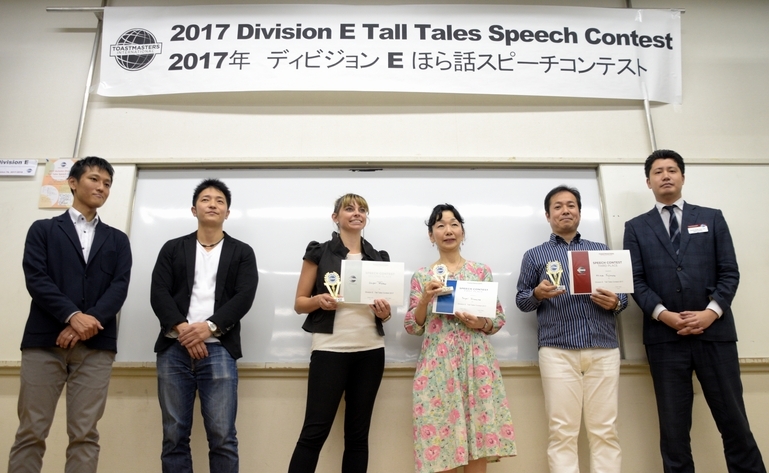 F, who had won the 3rd prize at the Division E Tall Tales Contest, was presented. His original speech had been refined and elaborated thanks to the cooperation of many YTMC members through the stages of each contest. You can see his hilarious tall tale speech on the top page of our Homepage. Please check it out and enjoy yourself! 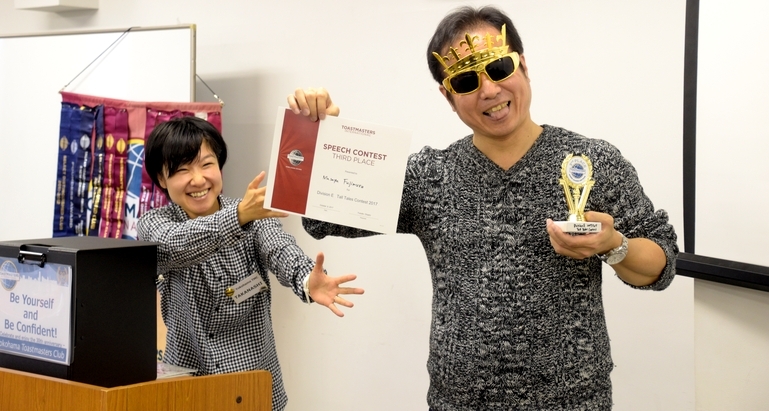 The impact of his speech at the contest really excited us all and activated our spirit of Toastmasters for sure!! 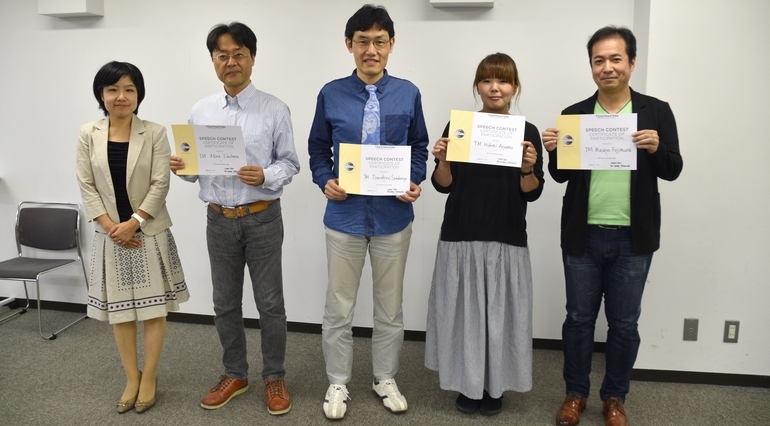 The theme of the meeting was “My Motto in Life”, for the 5th General election of lower house candidates was to be taken place on the next day. 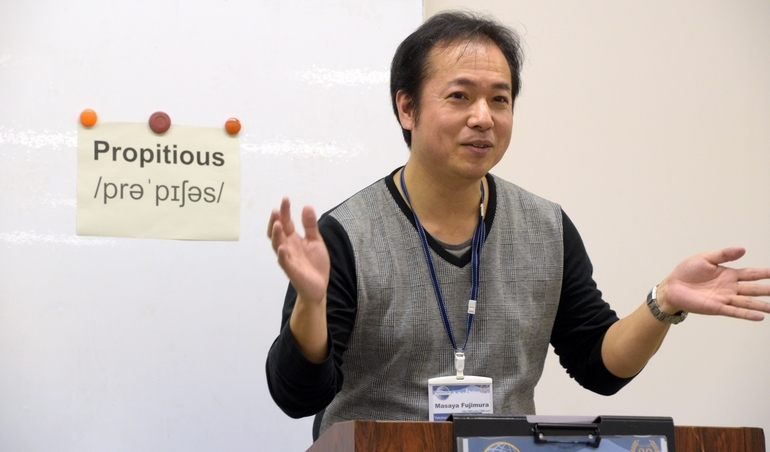 It was a good opportunity for us to know some members’ mottos for our better communication. Interesting prepared speeches they gave were about coffee, superstition, and speech itself. Lastly, TM. 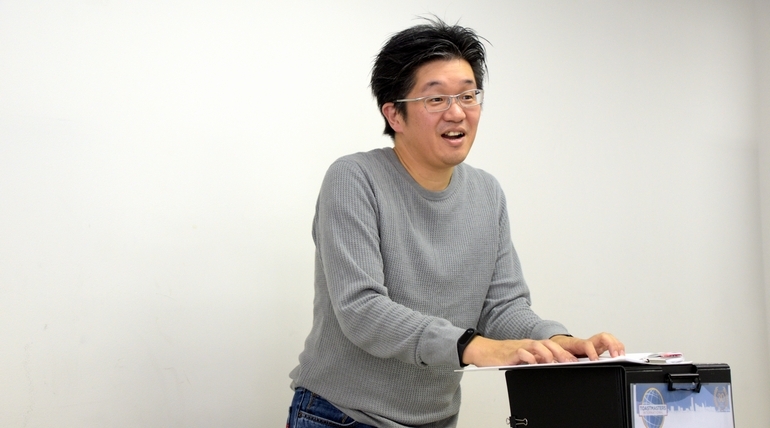 A gave an advanced role-playing presentation speech, “YTMC press conference”. 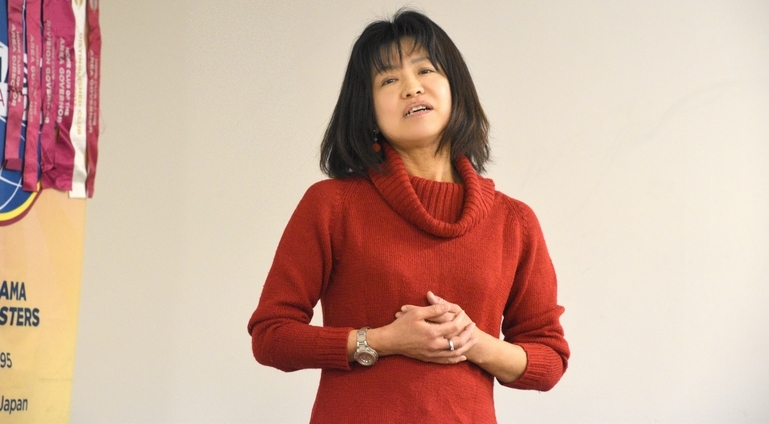 She responded to several impromptu questions from audience with calmness and confidence during her presentation. That was an excellent job to set an example for many of us. 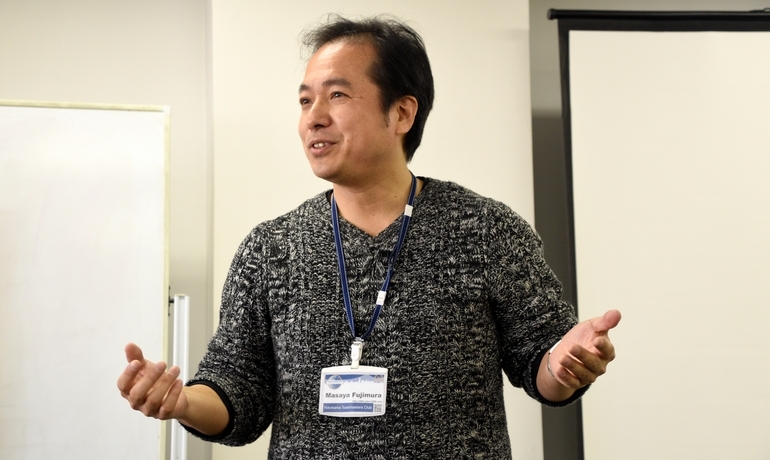 We closed the meeting with farewell to TM G, who was leaving Japan to France for his business next day. We thanked him for all the effort he had made to our club and we wholeheartedly listened to his farewell speech. He joined YTMC almost two years ago and since then has kept contributing to YTMC with almost no absence!! That was really amazing! His motto, by the way, is “It is easier to do something than worrying about it.” I am sure that he will be welcomed anywhere, and it is rather easy for him to get along with anybody, for he is such a man of good character. We sincerely hope his success in the future and hopefully we will be able to listen to his speech again about his wonderful experience in France. Take care and Von Voyage! Under the warm sunshine on the first day of three consecutive holidays, about 23 people including 2 guests attended our regular meeting. Although we had fewer attendees than we usually have, members’ speeches created an exciting atmosphere that enveloped the whole venue. We were happy to have a new member on this day. 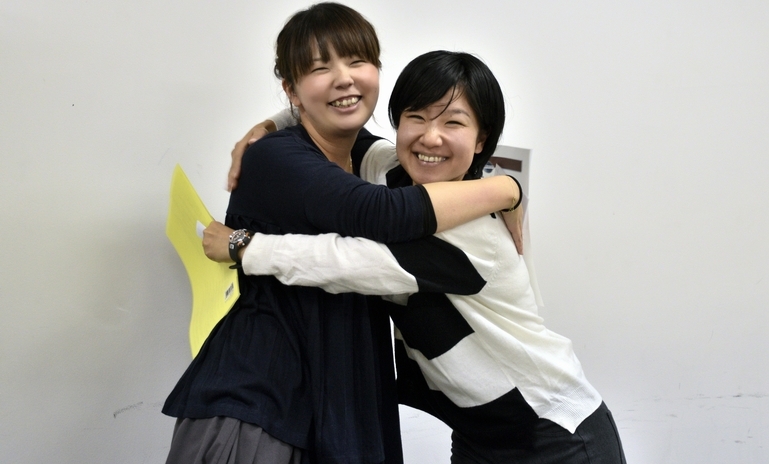 She is a young Japanese lady from Hong Kong who has studied in the U.S. 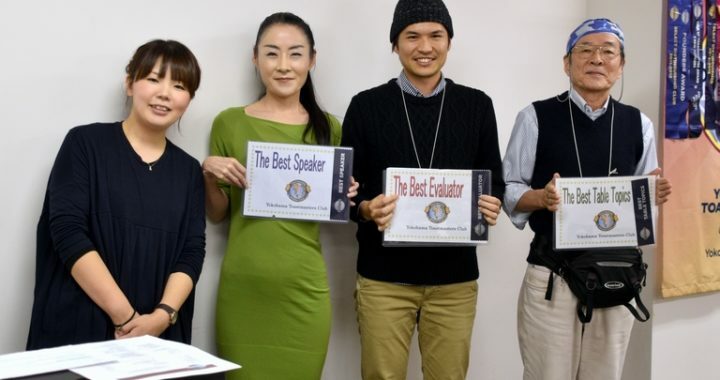 Her fluent and powerful way of speaking English attracts audience. I am looking forward to her speeches in the future. 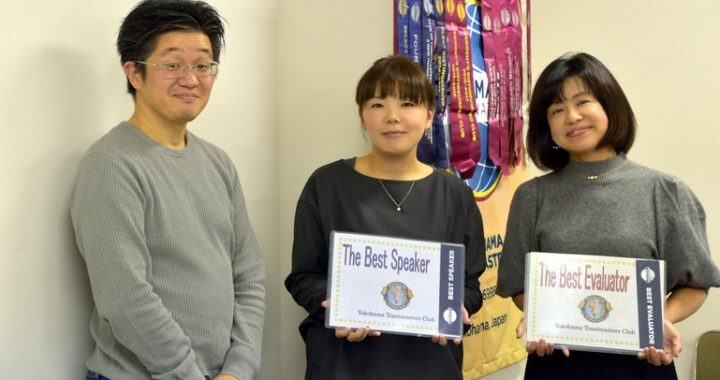 Currently, the percentage of female members in Yokohama Toastmasters Club is about 40%. Her induction was a nice addition to bring more vibrancy to our club. 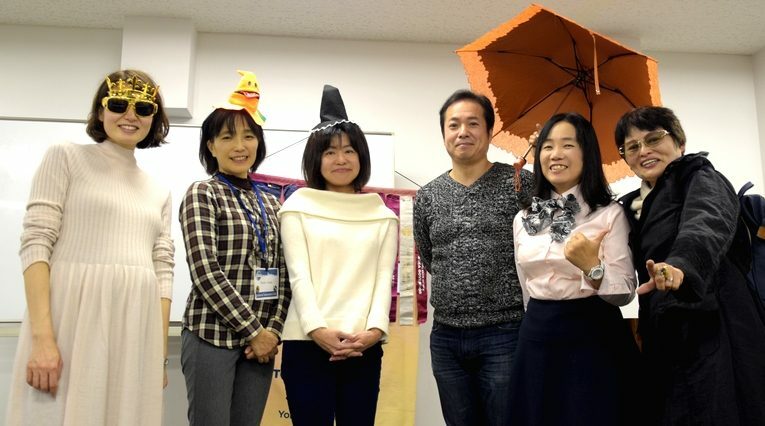 The theme of this meeting was simply, “Book”, as autumn was the best season for reading. I introduced the books recommended by role-takers. I will introduce them at the end of this report. We held a speech marathon in this meeting. It was a special as well as gorgeous program. We had six speeches in total, five prepared speeches and a rehearsal speech for the coming Division Contest. Every speech was very interesting… a humorous one introducing the method of how to relieve stress caused by a power-harassing boss, a little bit sentimental one featuring grandmother’s memories, a “Scream”, etc. Time flew away like an arrow. 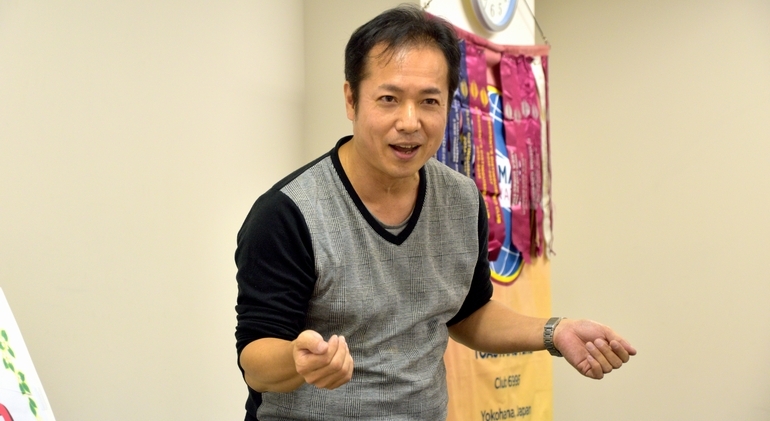 Let’s join the next Toastmasters’ meeting, too. That’s the right way to enjoy autumn weekends! P.S. 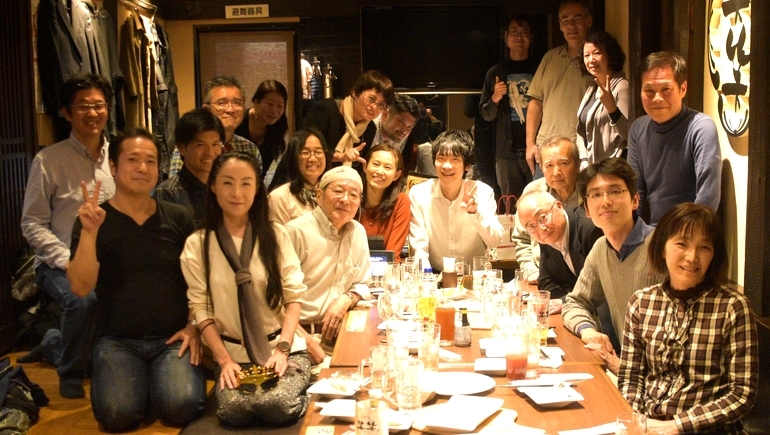 After-meeting party “NOMIKAI” is the most important, in my opinion. (1)	“Holes” by Louis Sacher. On Sep 17th, 2017, we held the Area 54 Tall Tales Contest. 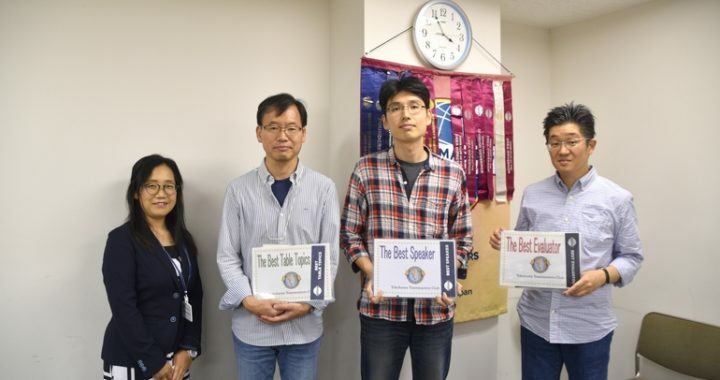 Our Area 54 has four clubs, which are Kannai TMC, Minato-mirai TMC, Yokohama Ocean TMC and Yokohama TMC, and the contestants who won their club in-house contests participated in this Area 54 contest. 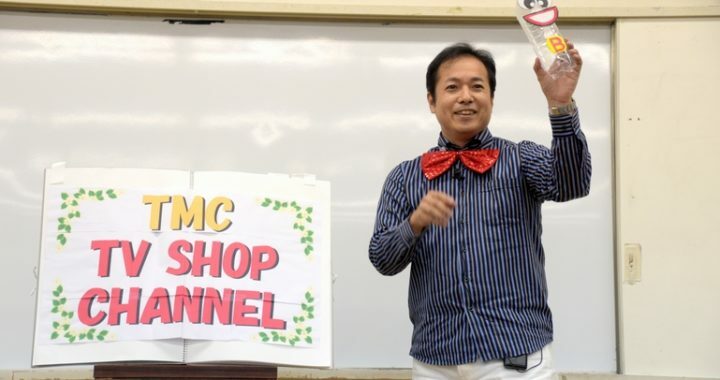 This time, our Yokohama TMC has facilitated the contest as a host club and I myself took a role of the contest chair for the first time. It was my big pleasure serving as a contest chair. 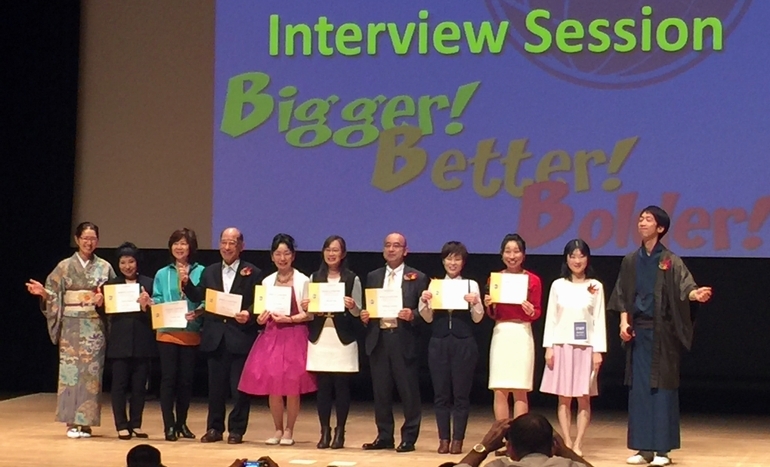 Four contestants in English and Five in Japanese challenged the contest. Contestants presented their variety of Tall Tales Speeches within the limited time. Every speech was unique, with a twist and entertainment! Their speeches were extraordinarily hilarious and full of originality, which entertained us and made us laugh a lot. 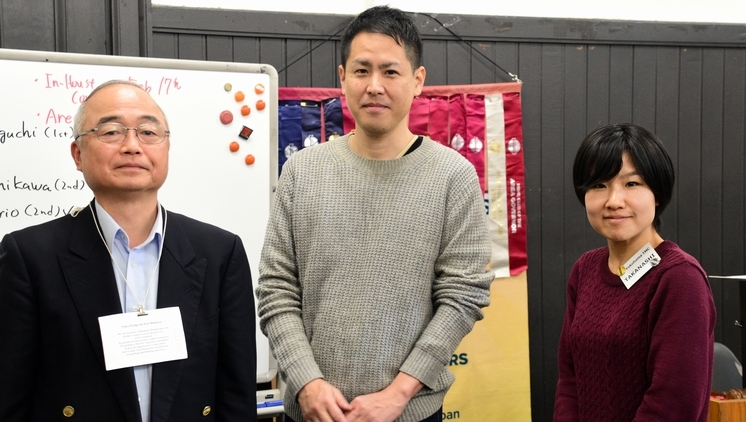 I myself enjoyed their speeches very much and learned so many things from them. Another pleasure of the contest was the interview session! 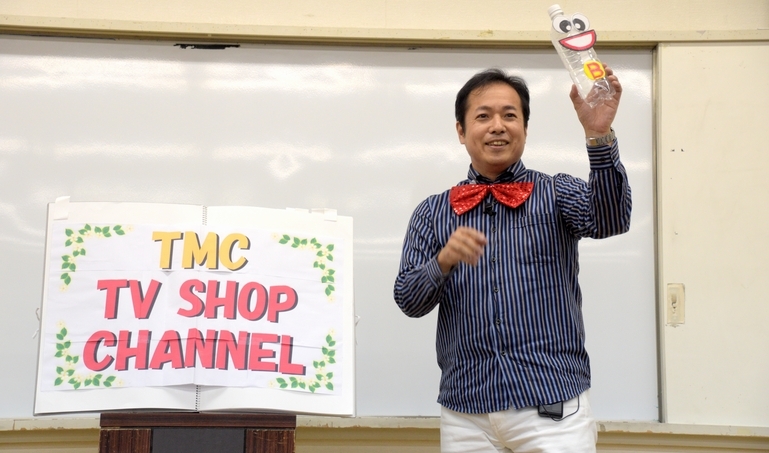 The special interview given by TM.A was like a mini-Workshop of Tall Tales contest. During the interview session, contestants performed freely with relaxed faces. Finally, the Contest Result was…. 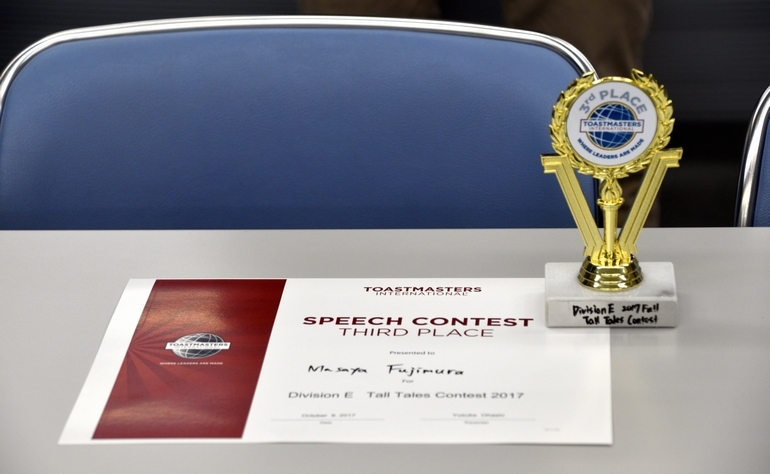 From our Yokohama TMC, TM F got a 1st prize and TM A got a 2nd prize in English contest. 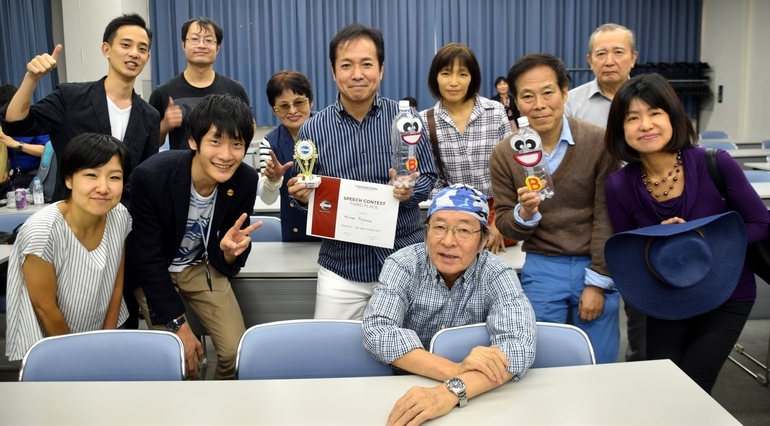 Also, TM H received a 2nd prize in Japanese contest. Congratulations!! The 1st prize winner, TM F, will advance to the Division E Contest to be held on October 9th. Thank you everyone for participating in the Area 54 Tall Tales contest despite the bad weather. The contest was successfully finished thanks to you, to your big effort and big support to make the contest enjoyable, valuable and successful!! All role takers, contestants and guests, thank you so much for your warm supports, especially to TM S, a chief judge, and TM A, an interviewer. TM M. F. will proceed to the Division. E Contest on Oct 9th. How exciting! Let’s attend the Division E Contest to support him and listen to the higher level of speeches.